Can we start talking about my first world problems? My favorite bubble tea place is closing. Now that doesn't mean that there's another store from the same chain that's equidistant from my office. Because there is. But my favorite Ten Ren Tea shop on Lafayette Street is closing. I expect frequent and sincere missives of condolences for this great tragedy which is happening to me. 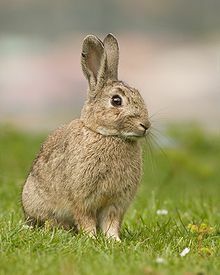 Here is a picture of a bunny. Leaving you a comment of sympathy and condolence.